Silver Ships | Silver Ships at Lucy the Poodle East Side Sound Circus! Silver Ships at Lucy the Poodle East Side Sound Circus! 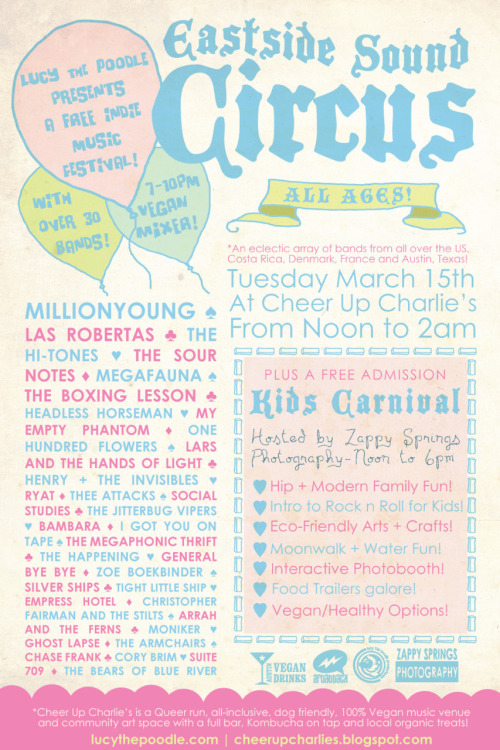 Silver Ships will be playing Lucy the Poodle’s East Side Sound Circus at 11:55 pm March 15th as an alternate lineup of musicians. Come enjoy music from noon to 2 am from around the globe!